Alaska is covered with rivers and lots of bridges. 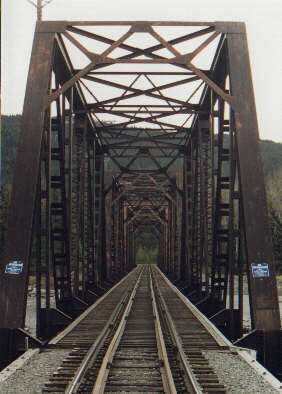 Most rails run along the rivers. The river valley provides a flat place to put the rails. This was a nice four span, that I just had to shoot. 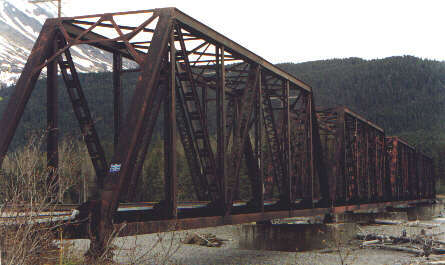 This single span once carried coal from the mine at Healy.